Coimbatore : Tamilaga Vazvurimai Katchi leader, Velumurugan today extended a financial assistance of Rs.one lakh to the parents of the 7-year old girl, who was sexually assaulted and brutally murdered near her house at Thudiyalur 10 days ago. Velmurugan, here to participate in an election meeting, went to the house at Pannimadai and consoled the parents and handed over the money. 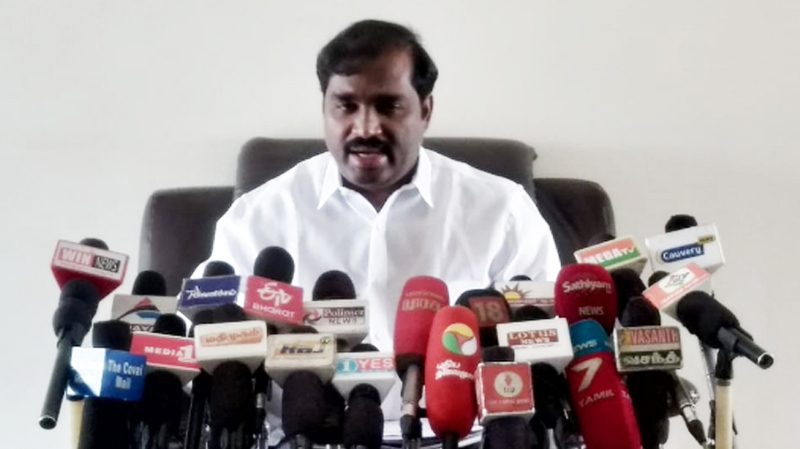 Expressing deep grief over the incident, Velmurugan said that despite fighting against death sentence, the accused, Santosh Kumar and others involved in the heinous crime should be given capital punishment. He also urged Tamil Nadu government to set up a Fast track special court and expedite the trial so that the accused was sentenced at the earliest.